STEP 1: Are you ready? Make a plan. Knowledge and experience are the keys to successful real estate transactions and the assistance of your professionally trained <?xml:namespace prefix = st1 ns = "urn:schemas-microsoft-com:office:smarttags" />TMI Real Estate sales agent can be the essential keys to your success. Planning will help you discover valuable shortcuts in the home-buying process. Whether you are a first-time home buyer or entering the marketplace as a repeat buyer, you need to ask why you want to buy. Are you planning to move to a new community due to a lifestyle change or is buying an option and not a requirement? What would you like in terms of real estate that you do not now have? Do you have a purchasing timeframe? Whatever your answers, the more you know about the real estate marketplace, the more likely you are to effectively define your goals. The National Association of REALTORS� (NAR) includes 1 million brokers and salespeople, individuals bound together with a strong Code of Ethics, extensive training opportunities and a wealth of community information. TMI Real Estate and its agents are members of NAR. Buying and selling real estate is a complex matter. At first it might seem that by checking local picture books or online sites you could quickly find the right home at the right price. But a basic rule in real estate is that all properties are unique. Homes differ and so do contract terms, financing options, inspection requirements and closing costs. Also, no two transactions are alike. In this maze of forms, financing, inspections, marketing, pricing and negotiating, it makes sense to work with professionals who know the community and much more. What should you expect when you work with a REALTOR�? 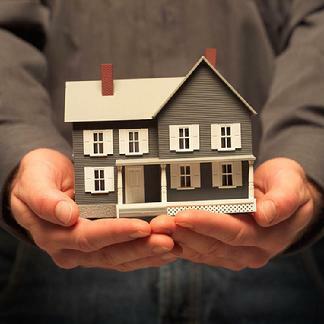 Once you select a REALTOR� you will want to establish a proper business relationship. You likely know that some REALTORS� represent sellers while others represent buyers. Your TMI Real Estate REALTOR� will explain the options available and describe how he or she typically works with individuals and provide you with complete agency disclosures (the ins and outs of your relationship with the agent) as required in the state of Alabama. Once hired for the job, your agent can provide you with information detailing current market conditions, financing options and negotiating issues that might apply to a given situation and keep you updated to each step in the transaction process. Few people can buy a home for cash -- nearly nine out of 10 buyers finance their purchase. The real issue with real estate financing is not getting a loan but getting a loan that is right for you. It is a good buyer strategy to start the mortgage process and get pre approvals well before bidding on a home. By meeting with lenders -- either online or face to face -- and looking at loan options, you will find which programs best meet your needs and how much you can afford. What is pre-approval and how do you get it? Millions of new and existing homes are sold each year -- with so many choices the challenge becomes finding the property which best meets your needs. Because of this, it is important to know as much as possible about the choices in preferred markets, and the way to do that is by working closely with your local TMI Real Estate sales professional. List the features and benefits you want in a home. Consider such things as pricing, location, size, amenities and design. Next, it's important to consider your priorities. If you can't get a home at your price with all the features you want, then what features are most important? Where and how do you find a house? All neighborhoods and communities have a special nature that gives them identity and value. One community may be well known for historic homes while another offers both suburban living as well as easy access to downtown office areas. By using basic measures such as general location and affordability, you can refine your search and focus on homes that offer the most desirable features. Consult with your TMI Real Estate agent for help in finding your next home. No aspect of the home buying process is more complex, personal or variable than bargaining between buyers and sellers. This is the point where the value of an experienced TMI Real Estate agent is clearly evident because he or she knows the community, has seen numerous homes for sale, knows local values and has spent years negotiating realty transactions. How do you know if a house is THE one? Probably the best approach is to look at as many homes as possible where you can quickly and easily view huge numbers of homes, check prices, take video tours and view extensive neighborhood information. Once your choices have been narrowed, you can then contact your TMI professional to find specific information and options. Remember Step 2 - the pre-approval process? Getting pre-approved means you have a very good idea of how much you can borrow, what loan programs will most likely work best in your situation and how much home you can afford. Often the cost of real estate financing is routinely greater than the original purchase price of a home (after including interest and closing costs). Because financing is so important, buyers should have as much information as possible regarding mortgage options and costs. Your TMI Real Estate agent can provide mortgage information, discuss financing options and recommend loan sources. How and where do you get a loan? To obtain a loan you must complete a written loan application and provide supporting documentation. Specific documents include recent pay stubs, rental checks and tax returns for the past two or three years if you are self-employed. During the prequalification procedure, the loan officer will describe the type of paperwork required. Mortgage financing can be obtained from mortgage bankers, mortgage brokers, savings and loan associations, mutual savings banks, commercial banks, credit unions, and insurance companies. You sometimes hear that the amount of your offer should be x percent below the seller's asking price or y percent less than you're really willing to pay. In practice, the offer depends on the basic laws of supply and demand. If many buyers are competing for homes, then sellers will likely get full-price offers and sometimes even more. If demand is weak, then offers below the asking price may be in order. The process of making offers varies around the country. In a typical situation, you will complete an offer that the agent will present to the owner and the owner's representative. The owner, in turn, may accept the offer, reject it or make a counter-offer. Because counter-offers are common (any change in an offer can be considered a "counter-offer"), it's important for buyers to remain in close contact with their agent during the negotiation process so that any proposed changes can be quickly reviewed. Insurance policies and warranties have limitations and individual programs have different levels of coverage, deductibles and costs. For details, speak with your TMI REALTORS�. Go to any local courthouse and you can find property records detailing real estate ownership in your community. These records are important because they provide today's owners with proof that they have good, marketable and insurable title to the property they are selling. Equally important, such records enable buyers to provide proof of ownership when they sell. The closing process is increasingly computerized and automated. In practice, closings bring together a variety of parties who are part of the "transaction" process. At closing, transfer taxes must be paid and other claims must also be settled (including closing costs, legal fees and adjustments). 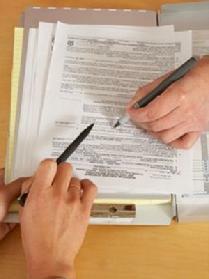 In most transactions, the closing agent also completes the paperwork needed to record the loan. Before closing, buyers typically have a final opportunity to walk through the property to assure that its condition has not materially changed since the sale agreement was signed. At closing itself, all papers have been prepared by closing agents, title companies, lenders and lawyers. This paperwork reflects the sale agreement and allows all parties to the transaction to verify their interests. Also at closing, determine the status of the utilities required by the home, items such as water, sewage, gas, electric and oil service. You want utility bills to be paid in full by owners as of closing and you also want services transferred to your name for billing. Usually such transfers can be done without turning off utilities. Your TMI agent can provide contact numbers and related information.